Teachers in New York City are being brought up on charges because their students are not yelling out answers, raising their hands, and therefore are not "engaged" according to the very misunderstood and very mis-used standards in the Danielson rubric. We at Advocatz argue, when defending a teacher's pedagogy at 3020-a, that a silent student can still be learning. The DOE attorneys fight this, and say that only those students who are visibly active - talking, raising their hands, writing notes, etc., - are "engaged". Ridiculous. At the end of each lesson, when 2nd grade teacher Erin Pawlak asked her students at P.S. 11 in New York City to reflect on their reading or share a successful strategy, the same hands would shoot up. “Ideas came quick to these students so they were always doing the talking,” said Pawlak. But what about the quiet students? Pawlak and fellow teacher Dawn Rosevear set out to answer that question at a teacher training conference in their city that was given by a group called Quiet Revolution in June of 2016. The aim of the two-week Quiet Summer Institute was to coach teachers on how to develop leadership qualities in introverted students—presumably, the students who were not raising their hand in Pawlak’s class. The suspicion that they may be holding quiet and otherwise bright students to an unfair standard is driving some teachers to change their conception of class participation, which can count for up to half of a student’s overall grade in some classrooms and shape the teacher’s perception of student success. For Pawlak and Rosevear, the emphasis on teaching to personality types promoted by the New York City-based Quiet Revolution seemed like a way of clearing away some longstanding notions that were getting in the way of acknowledging, and rewarding, their quiet students’ unique contributions. 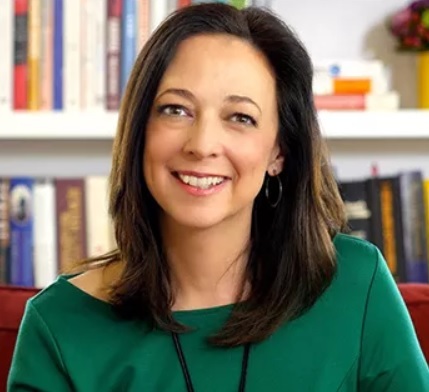 Quiet Revolution is the brainchild of writer Susan Cain, whose 2012 book, Quiet: the Power of Introverts in a World that Can’t Stop Talking, became a bestseller, and whose talk on making the workplace more inclusive of different personality styles became a TED Talk phenomenon. Since then, Cain has set her sights on changing the classroom, where she says teachers unconsciously reward the extroverts who dive headfirst into discussions, sometimes without much forethought. Over the course of the paid workshops that summer, Pawlak and Rosevear, along with 61 other like-minded teachers from the 19 network schools across the country, learned how to change the format of class discussion and group work in order to help the introverts—and even the extroverts—to succeed. The two became what the organization calls “Quiet Ambassadors.” Upon returning to their school, the teachers set to work training their teaching colleagues on how to measure students’ engagement, as opposed to their participation. The tricky part is how to evaluate body language and determine that a student is listening intently. Teachers should look for eye contact, “facial feedback,” and movements like leaning forward toward the speaker, said Rosevear. But it’s also telling to simply look at the projects that students complete. “If you are engaged in the lesson, then the product you create is going to show that you’re putting thought and effort into your work every day,” Pawlak added. For Heidi Kasevich, the director of education at Quiet Revolution, rethinking participation is key to the success of introverts. She said some of the schools in the organization’s network set class participation at 50 percent of a student’s grade. Kasevich, who taught history in middle and high school classrooms in New York City for 25 years, said she has seen school cultures that were one-size-fits-all, geared more for the extroverts than for the introverts. “It’s important to open up lots of different avenues to participation,” Kasevich said. “We need to shift our thinking from class participation is 20, 30 or 50 percent of your grade to ‘here are a lot of different ways that students can be engaged in your class,’ from body language to short written check-ins to electronic communication, to quietize the thinking process”—or, in other words, create an introvert-friendly learning environment. In the year after the Quiet Summer Institute, Pawlak and Rosevear, along with other P.S. 11 teachers, tested out the strategies with their students. First, the teachers gave students a personality survey that Pawlak and Rosevear designed, borrowing from a survey that Quiet Revolution designed for older students and translating the text into pictures. Students could choose, for instance, between a picture of a kid at a desk by himself and a kid sitting at a table with other students. Their choices revealed their preferences for working alone or in groups. Once teachers had a sense of whether students were introverts, extroverts, or a combination, they each chose two students they identified as introverts to track their engagement during different activities throughout the school year using a scale ranging from highest (talking to the whole class and critiquing) to lowest (no engagement, not talking, no eye contact). Students shouldn’t always have to show what they know out loud, according to Pawlak. That’s a crucial shift in the way teachers think about class participation. Why shouldn’t students be able to respond to discussion or debate questions in writing? 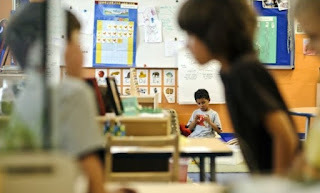 At the very least, they should be able to write down their thoughts and discuss their ideas with another student before entering a whole-class discussion, Pawlak added. 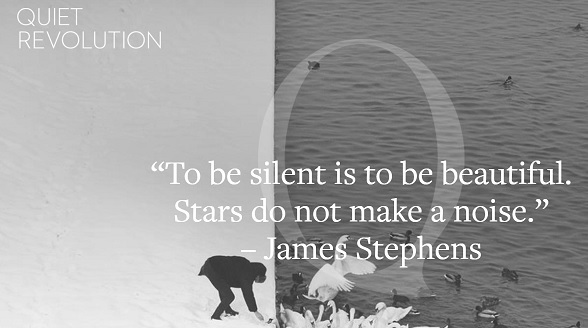 This strategy, called “think–pair–share,” is highly touted by Quiet Revolution. And Pawlak said her students give her daily proof that it works. Kathy Schultz, the dean of the education school at the University of Colorado and the author of Rethinking Classroom Participation: Listening to Silent Voices, said the emphasis on giving students extra time to think before articulating their ideas in a whole-class setting is just good all-around teaching. But she’s skeptical of the organization’s emphasis on personality. Schultz thinks teachers should be able to recognize the ways quiet students think and participate, and she’s not just talking about head nodding or eye contact. For her part, Pawlak sees her role as helping students to explore their preferences for the way they best learn, and the changes she made in her classroom helped move students from the lowest engagement end of the scale to the highest. One 2nd grader in particular never seemed to be paying attention. More often than not, he would be gazing out the window. The survey helped Pawlak identify him as introverted. From then on, instead of jumping right into a class discussion she allowed students time to be with their own thoughts. They could write or draw to develop their ideas, then share their thoughts with one other student, and finally test their ideas out with the entire class. Demitri Lynch, a kindergartner at City Neighbors Hamilton Charter School in Baltimore, plays by himself in his classroom. The school is designed to be "introvert friendly" so that students have spaces to work alone or in groups on the school's project-based curriculum. NYC's "favorite" grandmother, a person who I've seen shred another person so quickly if you blink it's already done, is "retiring" again, for the third time. She is a backstabber who despises unionized teachers, and parents who do not stand in line to do whatever she wants. And yes, I know from personal experience working with her for two years as a parent and she was Principal of PS 6. PLEASE, whoever follows Bill de Blasio as Mayor, don't bring Carmen back! New York City does not need another "children last" person. 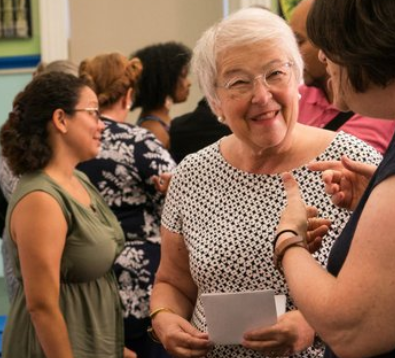 Say this for Schools Chancellor Carmen Fariña, who’s just announced she’s quitting by the end of the school year: Mayor de Blasio hired her to not shake up the system, and she delivered. Fariña, who spent her adult life working in the system, knew all the reasons why the schools “couldn’t” do better, and regularly lectured on how it’s inevitable that any system so huge, facing so many challenges, has its lemons. The signature effort of her term, de Blasio’s Renewal program, was a half-billion-dollar exercise in seeking marginal improvement from failed schools, rather than simply shutting them down and opening new ones in their place. She managed to set expectations low enough that just 21 of the original 94 schools “graduated” out of the program — even as plummeting enrollment and other woes forced her to close another 27 after all. Ever a team player, she embraced the watering-down of the school-discipline code and the convenient revision of surveys that might otherwise reveal the negative impact on school safety. The first student in over a generation to die in a city school was stabbed to death on her watch. As a principal, Fariña had refused to hire teachers from the Absent Teacher Reserve pool. As chancellor, she assented to de Blasio’s plan to foist these “educators” on schools that don’t want them, especially struggling ones. And she oversaw the mayor’s cold war on charter schools, happily refusing classroom space to institutions that actually offer poor and minority kids the opportunity that the regular schools don’t. Team de Blasio has already begun its search for a new chancellor. It’ll be tough to find someone who will be as diligently indifferent to a disgraceful status quo. 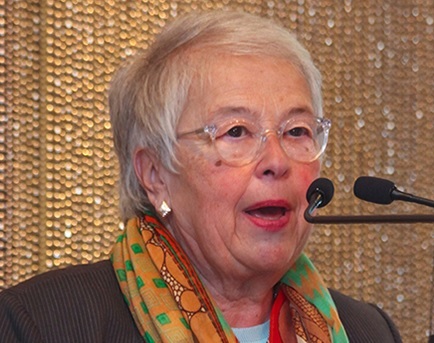 Carmen Fariña will retire from her position as New York City’s schools chancellor in the coming months, according to city officials familiar with the discussions. Her retirement is expected to be announced on Thursday. Ms. Fariña has run the nation’s largest school system since Mayor Bill de Blasio took office four years ago. 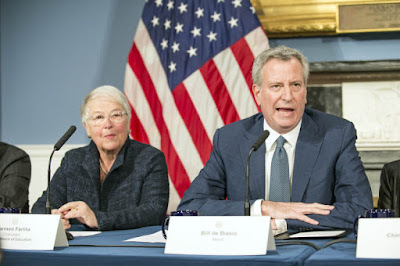 She inherited the Department of Education from the administration of Mayor Michael R. Bloomberg, which had shredded the traditional playbook for running the city’s schools. It redesigned how students applied to high school, gave more power to principals, closed struggling schools and opened hundreds of new ones. Ms. Fariña’s tenure, by contrast, bears the marks of a steady march forward. Graduation rates and test scores have risen, and she has bent a behemoth city agency toward her preferred methods, but there was no sense of the transformational turning of a great ship. On the most visible level, under Ms. Fariña, the department turned away from Mr. Bloomberg’s strategy of closing large, low-performing schools and opening new, smaller schools in their place. Instead, Ms. Fariña invested in a model called community schools, which aimed to raise achievement by infusing schools with social services designed to address the challenges of poverty. The most prominent test of that theory has been the department’s Renewal Schools program. The city paired 94 struggling schools with social service organizations, in addition to providing them with coaching and an extra hour of class each day. The program has been costly — it is expected to total more than half a billion dollars by the end of this school year — and its results have been mixed. The department has decided to close or merge 33 of the schools, including a group of 14 whose fate was announced on Monday. The vast majority of the 1.1 million students in New York’s schools are poor minority children, and the issue of equity hangs over the system. 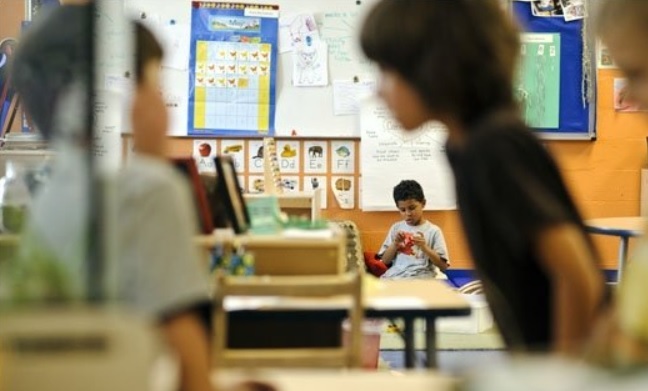 The sought-after schools with high graduation rates and stellar test scores have disproportionately high populations of white and Asian students, while struggling schools are largely populated by black and Hispanic children. Many of the education department’s signature policies, like expanded pre-K, fall under the umbrella of what the city calls its Equity and Excellence for All agenda, which aims to improve every school for every child, adding computer science and Advanced Placement classes to schools, for example. But the divides remain yawning, and the administration has attracted significant criticism for what has been called a halting and incremental approach to tackling the system’s enormous racial and socioeconomic segregation. While declaring diversity a top priority last year, Ms. Fariña said she wanted to see plans to desegregate the schools bubble up “organically” rather than be mandated from above. Amy Stuart Wells, a professor at Columbia University’s Teachers College who studies segregation and is a member of the city’s school diversity advisory group, said Ms. Fariña’s department has paid more attention to the issue than past administrations, but that the work is just beginning. To some, Ms. Fariña’s skepticism of data, and in particular her push to de-emphasize the role of test scores, has been refreshing. Aaron Pallas, a professor of sociology and education at Teachers College, said that under Mr. Bloomberg and his schools chancellor, Joel I. Klein, there was often “an active dismissal of the notion that teachers had the skills to do what they needed to do. “She does believe a lot in the wisdom of practice, the idea that experience imparts knowledge about how to do this kind of work of educating children that one really can’t get other ways,” Mr. Pallas said of Ms. Fariña. While the Bloomberg administration in its final years went to war with the teacher’s union over issues like school closures, teacher evaluations, seniority rules and the status of so-called reserve teachers who had lost their positions, Mr. de Blasio and Ms. Fariña have pursued an amicable and cooperative relationship with the union. Observers say that has had benefits in terms of raising morale among teachers and reducing the level of open strife, which tends to diminish the public’s confidence in the school system, but that it has also had a price. While Ms. Farina’s letter did not explain why she had decided to retire, or who might replace her, Dorothy Siegel, a close friend of Ms. Fariña’s, said she had spoken to her last week and that Ms. Fariña had said she was going to speak to the mayor about retiring. “She said, ‘You know, I’m going to be 75,’” Ms. Siegel said. Renewal Schools Program is in Shambles, Many Will Close or Merge With Other Schools. It's a Mess. To me, Carmen and Bill don't look embarrassed at all that their big new reform strategy, the Renewal Schools, is now in shambles. Many teachers are on their way to the Absent Teacher Reserve or ATR pool, and students will be forced to choose new locations. "The Renewal Program did not work. We knew that. But $386 million? Is anyone adding up who is accountable, and giving them a few days to pack their belongings and stop playing with public funds? What we need is someone to take over the mayor's office who can put public money into proper research and programs with proven success rates. It's called Common Sense." I think the time has come to get rid of Carmen Farina. The New York City education department plans to close 14 low-performing schools at the end of the academic year, officials announced Monday. You can read much more about those changes — and why they’re significant moves for Mayor Bill de Blasio — here. Here’s the full list of changes the city is proposing. Wadleigh Secondary School for The Performing Visual Arts (Manhattan, District 3) will no longer serve middle school students. It will start a plan “to transform Wadleigh into one of New York City’s top audition arts high schools,” according to the city. For nearly 20 New York City schools, the news was grim on Monday morning: The city would be moving to close them, shrink them, or combine them with another school. But for others, Monday’s announcement was a long-awaited boost. Twenty-one schools were named Rise schools, a new designation meant to indicate their progress under Mayor de Blasio’s School Renewal turnaround program. Officials say that Rise schools will retain the extra social services that had been provided for students and their families, while other extra support will be reduced over time. The Rise program will operate independently, but stay connected to the Renewal one. And the Rise schools will be held accountable for continued improvement, but face less intense scrutiny. It’s a middle ground that could help answer questions that have vexed the de Blasio administration since it unveiled the program in 2014 as a three-year intervention: What comes after year three? Specifically, can the city reward improvement by freeing the schools from intense oversight without undercutting their progress by pulling out support? And how can the city help schools it labeled as struggling to rebrand so they can attract new students? The Rise schools are in four boroughs and include schools like DreamYard Preparatory School in the Bronx, which is still struggling to push its graduation rate over 70 percent, and I.S. 528 Bea Fuller Rodgers School in Upper Manhattan, where fewer than one in five students passed the state math and English tests. Aaron Pallas, a professor at Teachers College, called Rise a smart political move for Mayor Bill de Blasio. 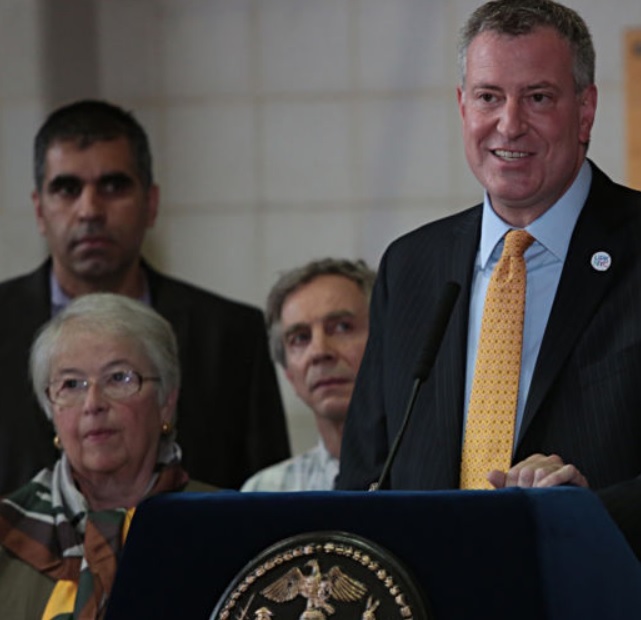 “Graduating schools on the grounds that they were successful allows the mayor to declare victory,” he said. The Rise program may allow the city to provide these schools — which still need help to maintain and further their gains — with extra support, while allowing them to shed the stigma of being in the city’s Renewal program. Even as the city showered these schools with millions of dollars over the last three years, convincing families to send their children to them was a challenge. Throughout the program, the schools struggled with enrollment, losing thousands of students. Rise schools will remain “community schools,” a signature piece of de Blasio’s turnaround strategy in which schools are hubs for social and medical services. The schools will also enjoy an expedited roll-out of Equity and Excellence initiatives, including support for computer science, literacy, algebra, and Advanced Placement. Principal Kyesha Jackson, who runs P.S. 67 in Brooklyn, said she is both excited to maintain the support provided by Renewal and lose the label. Under Renewal, she was able to purchase an online program that assess where students have learning gaps and provides access to lessons that target the area in which a student needs work. She also purchased an electronic literacy program that allows students access to 3,000 books, she said. Those initiatives and others that she says were integral to improving her school will remain, but when families are researching the school, they will no longer see that it is designated as a struggling school. “That stigma that a Renewal school is a failing school would be taken away,” she said. Critics, including longtime de Blasio foe StudentsFirstNY, have pointed out the relatively low rates of students passing state tests at Rise schools. But at least so far, principals remain hopeful that the new title — coupled with a high level of continuing support — will make a difference.